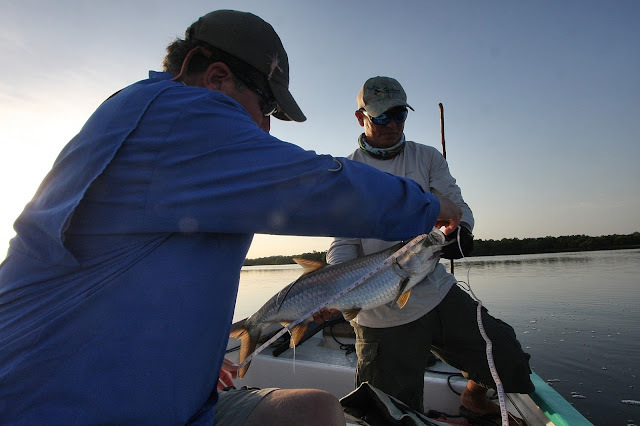 After on our third and final fishing day at Tarpon Cay Lodge, we jumped in the van for the four and one half hour drive to Isla del Sabalo, an island on the west coast of the Yucatan in the State of Campeche. 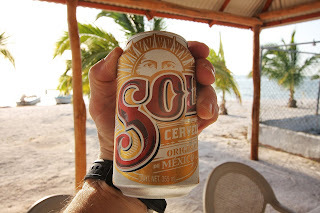 The roads to Merida were excellent, but soon we turned northwest onto narrow potholed roads. 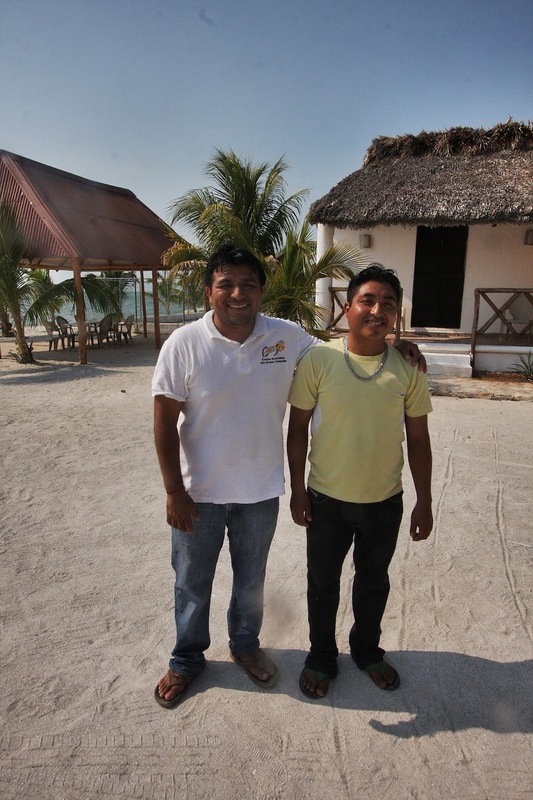 We passed through a succession of Mayan villages with consonant-laden names almost impossible to pronounce. In each village, we were greeted with sights of thatched roofed home, older women in traditional white dresses and seemingly endless and unnecessary speed bumps. We saw few vehicles except motorcycles and motor cycle powered carts which must be used as taxis and pickups. 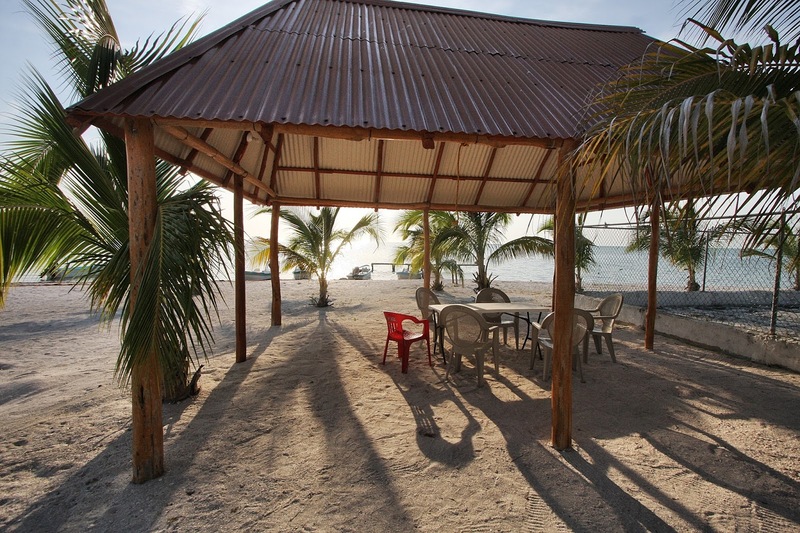 Eventually, we made it to the coast and the small fishing vilage at Isla del Sabalo. The rooms were quite comfortable! We were pleasantly surprised by what we found. We were housed in comfortable rooms on the beach only steps from our open-air dining room and a seaside palapa perfect for the cocktail hour. 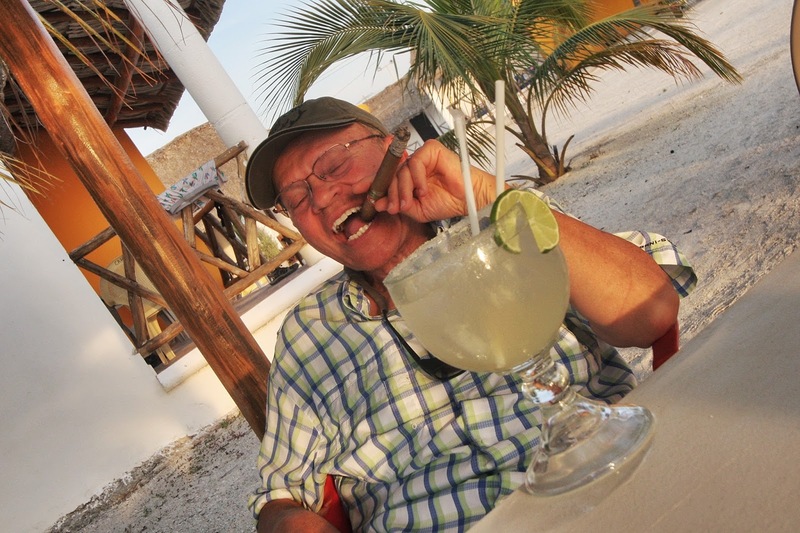 Dr. Peskoe with a rather large margarita and stogie! We had a wonderful dinner of Fajitas with an expertly seasoned flank steak. 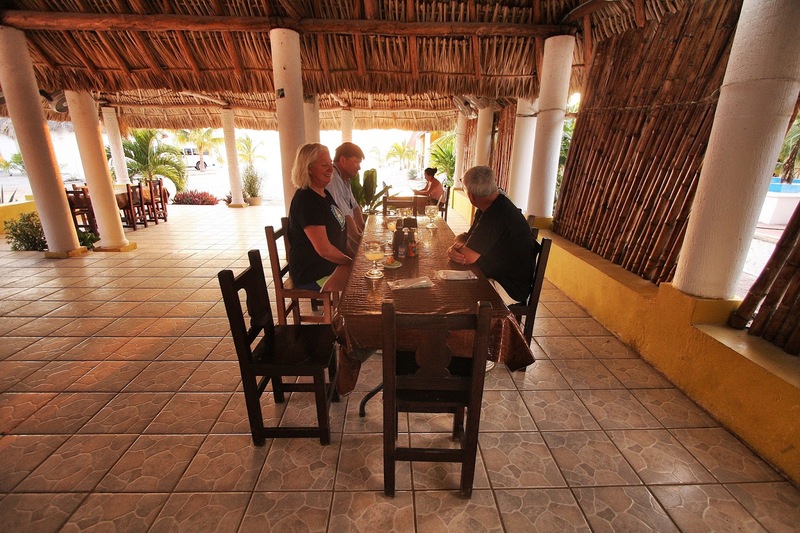 For our next two nights, we would enjoy excellent appetizers at the palapa, traditional favorites for dinner and hearty breakfasts. The staff was attentive and very friendly. 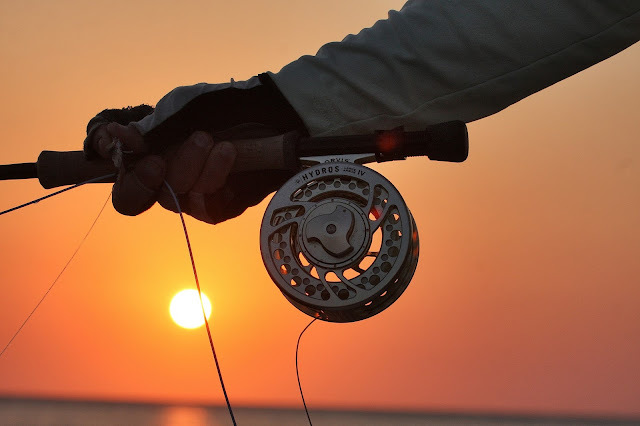 Nothing could have been better, but on this first night we were eager to fish so it was off to bed early for a 5:15 AM wake-up. We planned to push off at dawn. Doug Jeffries and I did indeed take off at dawn with our guide Belito, who we were to find out had been on our Destination X camping trip in 2008! It is a small world! As the wind increased, we motored past the beach where we had camped so many years ago. As the day wore on, we remembered many of the rio and bays that had been so prolific and had prompted our visit current visit. Well, on Day 1, we did not see fish until 1:00 PM. NOT A FISH! We saw not a roll or had a take or saw even a flash. Nothing showed itself. 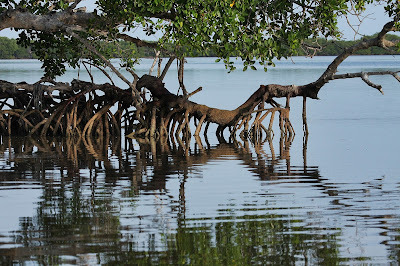 We optimistically blindcast the mangrove edge until the early afternoon. Then I jumped one fish and landed another. 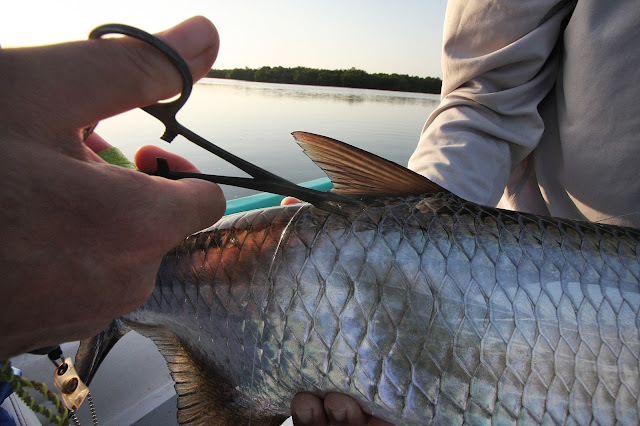 We ventured up a rio to see if the tarpon had moved up to escape the wind. I spotted one rolling pod behind us, Doug made a superb backhand cast, landed the fish and that was it for the day. 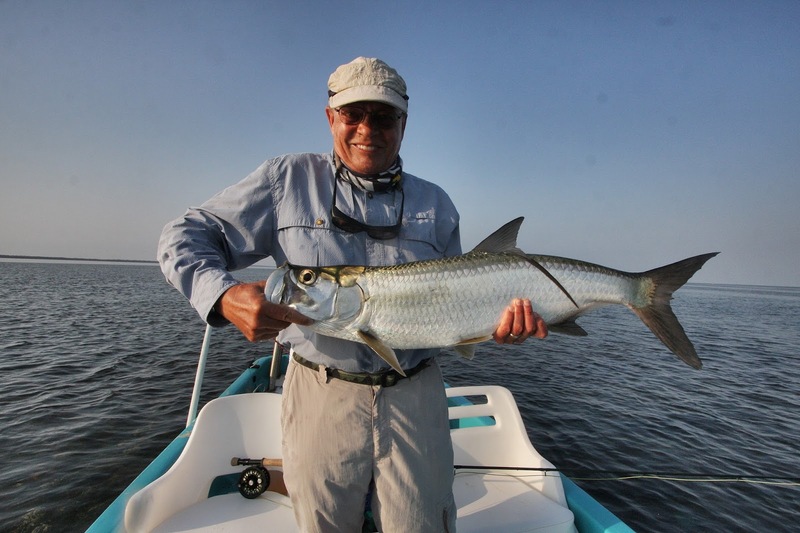 A brilliant cast by "one cast, one tarpon Jeffries", but all we managed to do on this very windy day was avoid a skunk! 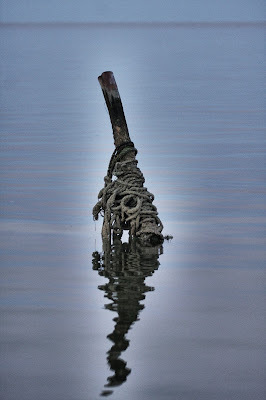 A dead calm morning and a subsequent light offshore breeze heralded a better day. 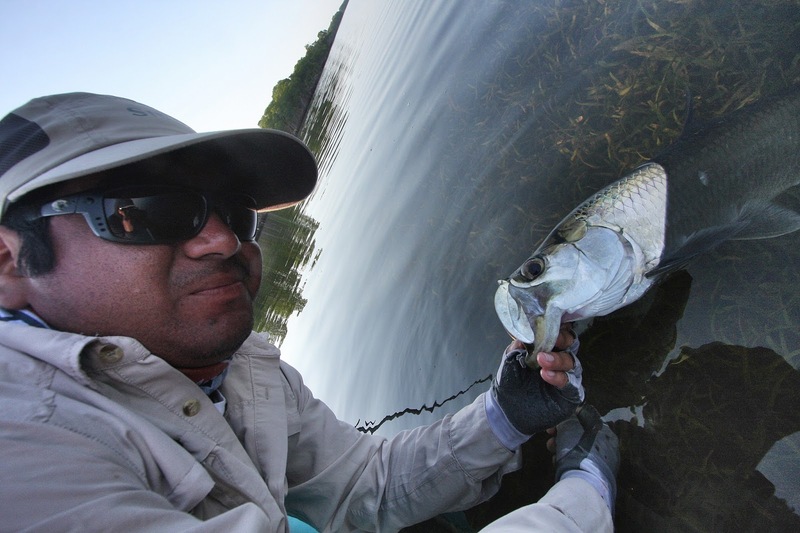 I was fishing solo today with Belito's son Rodrigo. 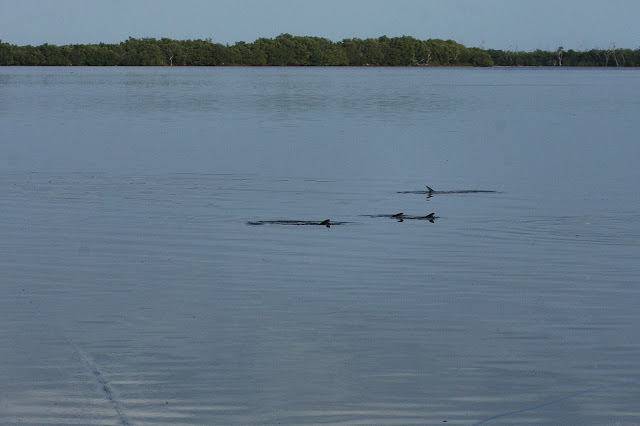 We motored south again and almost immediately saw rolling fish on the outside of the rios in the small bays and on turtlegrass flats. Here they hugged the mangrove fringe as they fed on small fish and boiled on crabs and shrimp. 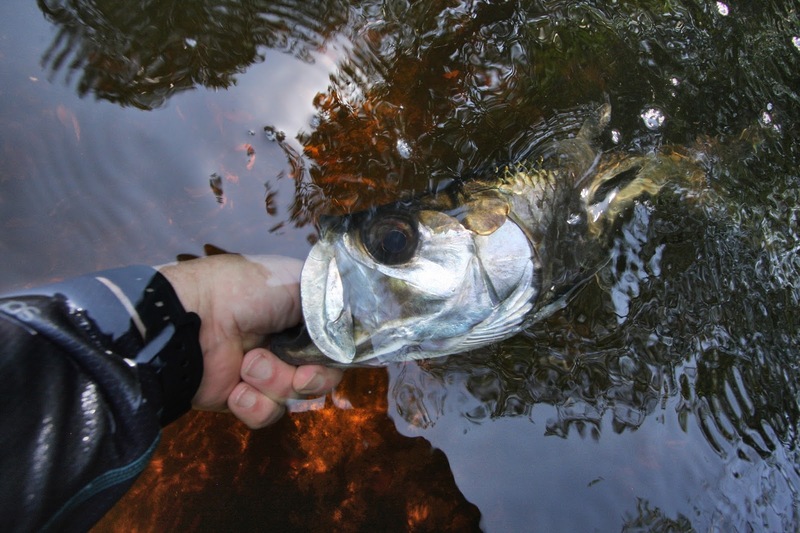 After a few unproductive casts, I had a quick roll on my fly. Then a good take, but I came up empty. Then I jumped a few, but couldn't stay hooked up. I stopped, took a deep breath and went over the details in my head. I mulled over the correct presentation, the long strip strike, not to lift the rod tip, but swing it to the side after the hookset and finally, the all important bow to a jumper. 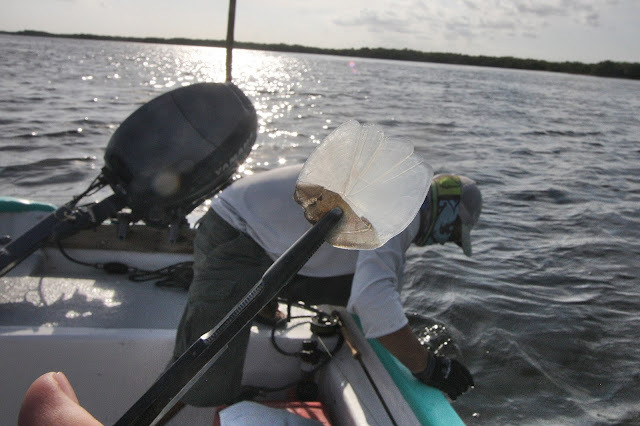 Rodrigo corrected me if I did something wrong and soon, I started putting fish in the boat. I had a thrilling early morning on these sabalitos! After the breeze swung to be more onshore, we moved up a rio where we found a dozen or so fish rolling at a narrow bend which was overgrown and clogged with downfall. Here it would be impossible to get a cast to the fish. Not wanting to push the fish out of the rio by poling further up, we backed off and staked out a spot at the junction of two creeks. Here we waited for the fish to circle back which they consistently did over the next two hours. 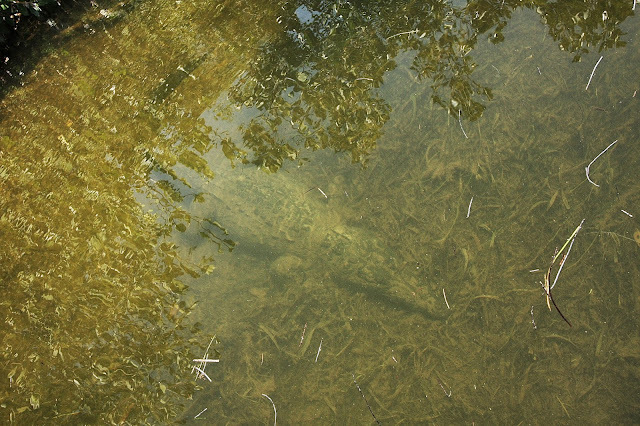 I jumped six or seven fish, landed 3 more and had two big 15-20 lb. 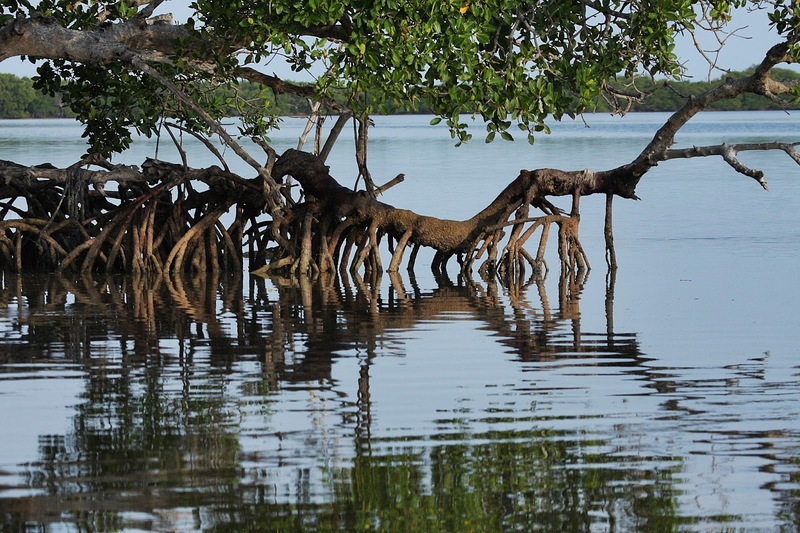 fish hang themselves in the mangroves. Rodrigo and I had to do little gardening to get these big sabalitos free, but after our efforts they swam away unharmed. 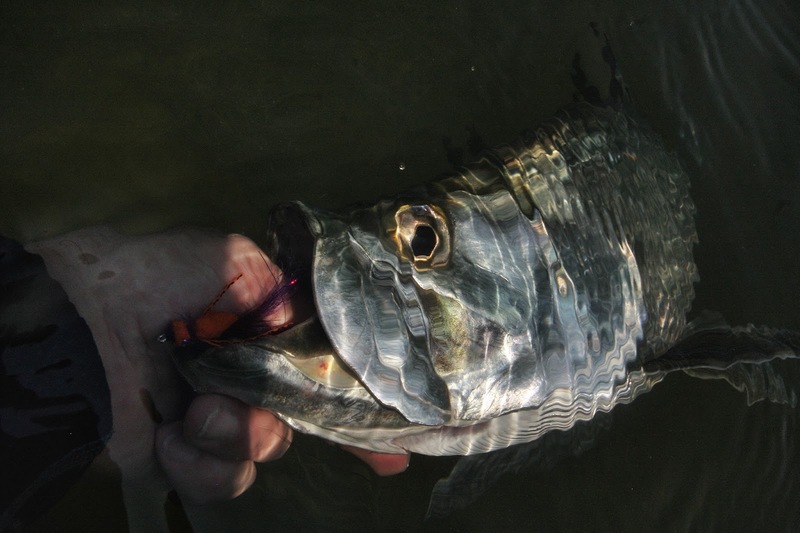 We eventually stopped picking on these tarpon and moved back out to the mouth of the rio. Here we decided to sightfish only so we didn't spook unseen fish. 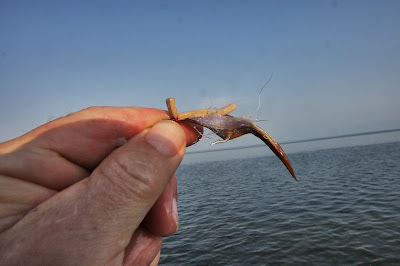 Subsequently, I caught two more nice double-digit fish that I was able to spot on my own. One on a quick backcast to a rolling group at 3:00 and the other to a laid-up tarpon at 11:00 that, as I cast well ahead of the boat, I lost sight of as the fly hit the water. This fish exploded on my fly and Rodrigo was surprised as he had no idea I had seen a fish. 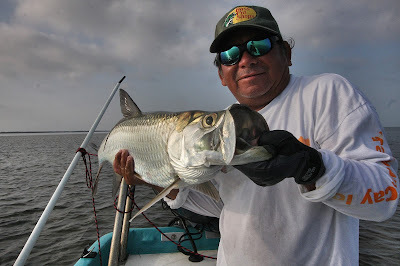 Rodrigo had been called me "estudiante" all morning and I was referring to him as my "profesor", but with these two tarpon I sighted and hooked on my own, Rodrigo made me proud when he said "estudiante no mas". 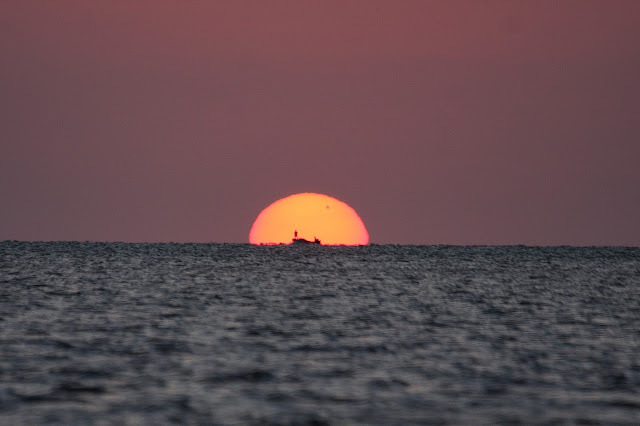 What a perfect end to a wonderful day! Who doesn't like a little flattery? OK, how do I describe this day. 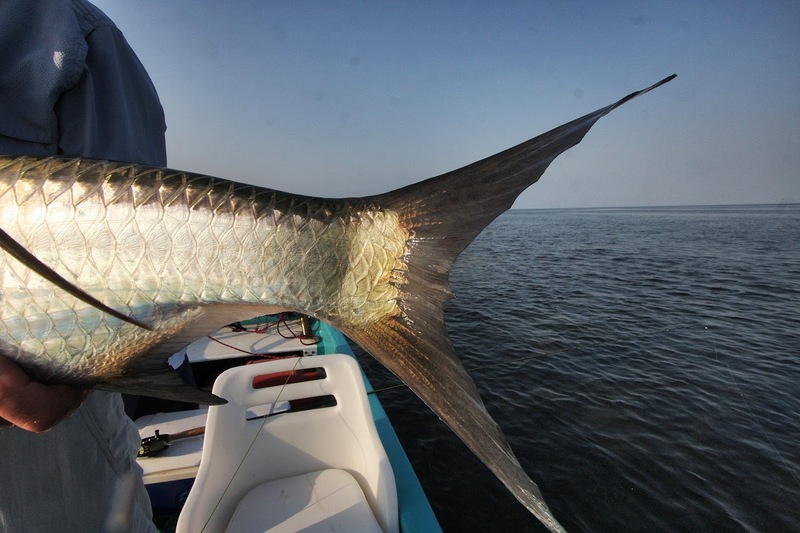 Amazing... my best tarpon day ever... Incredible? Let's try this: Between the two boats with three anglers, we jumped something around 100 fish. Could be more, I don't think it was less. 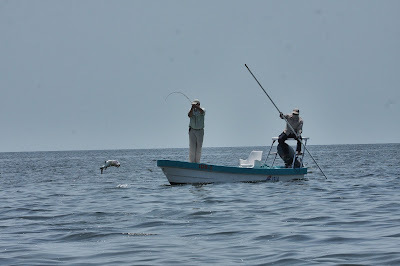 We boated dozens if not scores of fish. 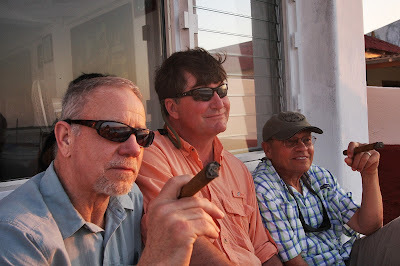 Steve Peskoe and I were in the same skiff with Belito, while Doug Jeffries was with Rodrigo in the other panga. We were often within earshot. Steve and I had numerous doubles. 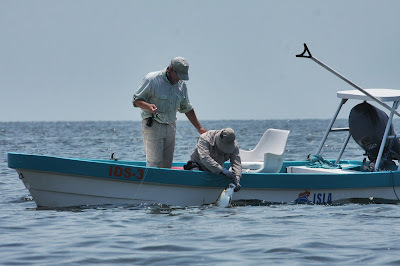 We initially agreed that if we jumped a fish that angler then relinquished the deck. 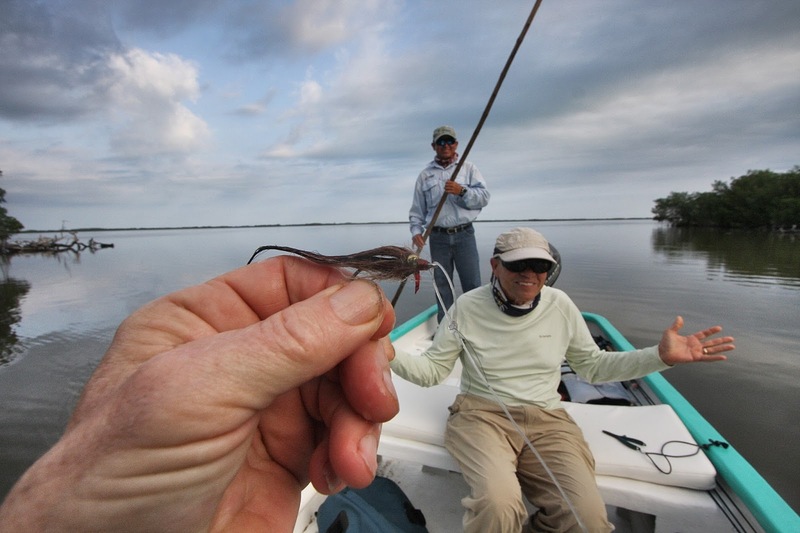 This strategy gave way to when a fish was hooked, that angler stepped off the front deck to fight his fish and the other angler climbed up to hook another. 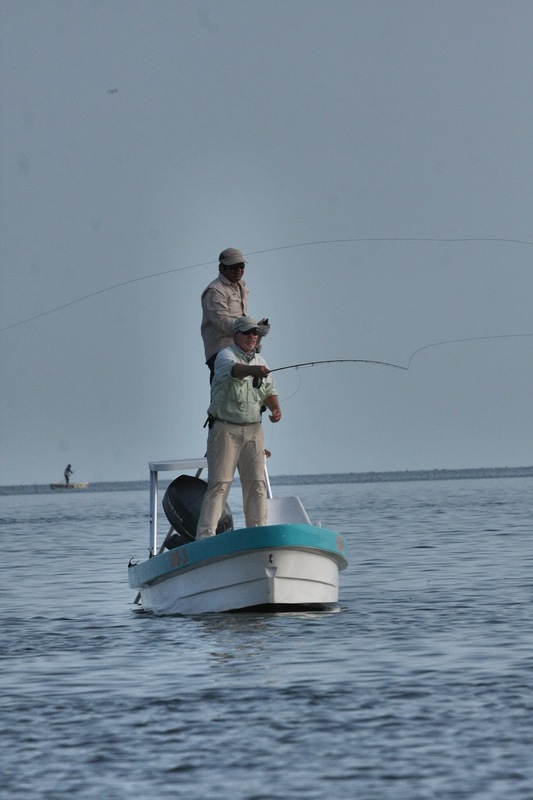 This day proved to be a constant merry-go-round of up on the deck, hook a fish, step to the right as the other anglers stepped up. Step down. Fight your fish. This process was repeated cheerfully on and on. Doug was as busy as we were in the other boat. We hooked numerous fish in the 12-15 lb range, a few that were 20+ and I hooked, and was overwhelmed, by a 35-40 lb. fish that took me well into my backing on three spectacular jumps. 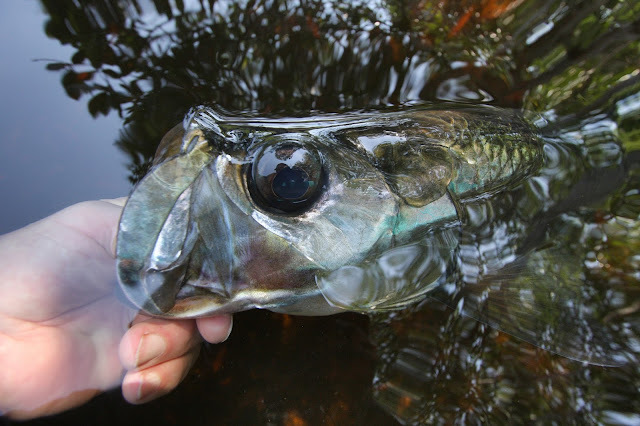 We hooked fish on our secret gurgler (photo above) and the floating foam KID"S MEAL (seen in the photos below) in various colors. More on this in the next FLY PAPER post. 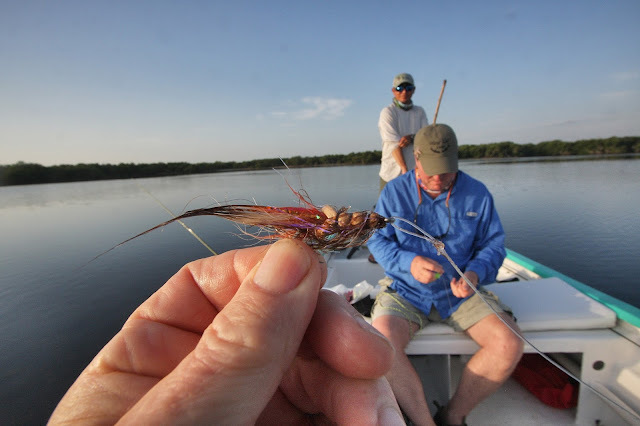 Often our unstripped flies were plucked off the surface of the water like a grasshopper. We were in fish from just after dawn until we left at 1:30 PM when our gluttony gave way to fatigue. 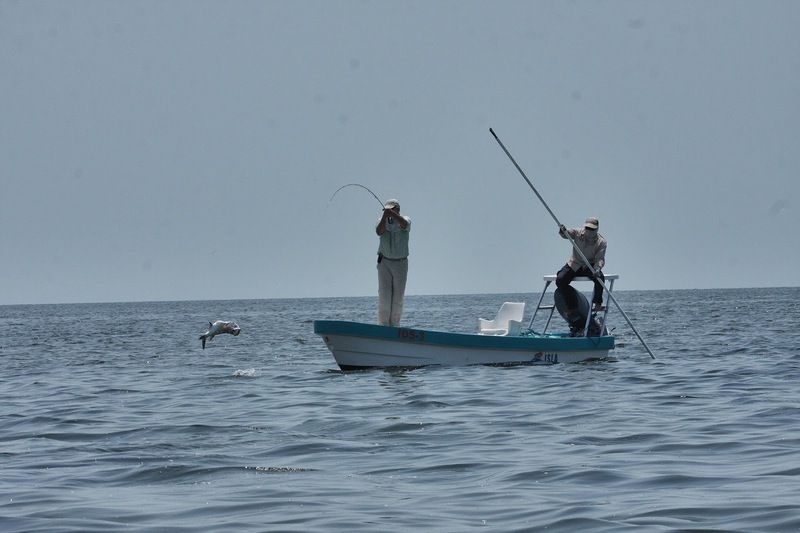 For the entire day our chant, after a fish was landed, was "uno mas". 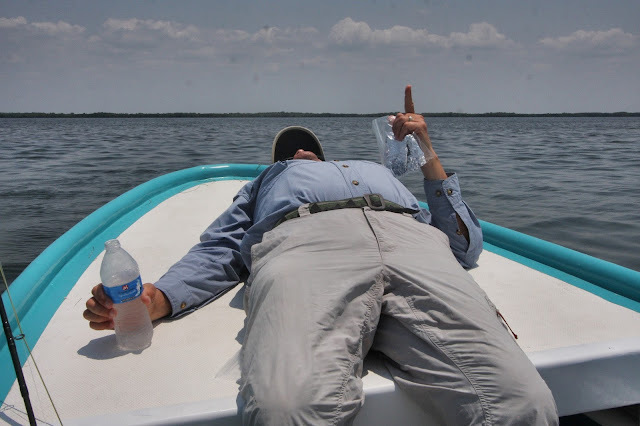 The photo below shows Steve Peskoe at lunch and his response to our question of "Uno Mas?". How good was this day... well, we casually ate lunch with fish rolling and feeding to our right and left. 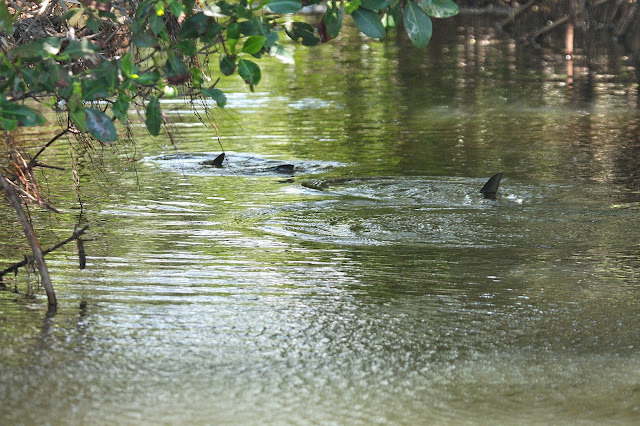 We just chewed on our sandwiches as we watched eager tarpon feed on the prolific channel dubbed "Calle de Sabalo" ...Tarpon Street. We adjourned, packed our gear, drove to Merida, had dinner and by 8:25 AM the next day we were on the way home. Geez, what a way to end trip! My sincere thanks go to the staff of Isla del Sabalo, to Jesciel and Marco, guides Belito, Eduardo and Rodrigo and to my compatriots Steve Peskoe, Anna and John Riggs, Doug Jeffries... and Jay we missed you! What a great trip! After having such a great trip last year (Tarpon Cay 2015), we decided to go again this year... but instead of spending all our time at Tarpon Cay, we decided to do three days here and then drive west across the peninsula to fish three more days at a new location further down the coast. 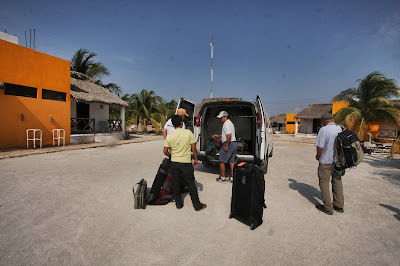 After meeting at a small bar outside customs at the Cancun airport, the five of us exchanged greetings, jumped in the van and quickly put all the craziness behind us. 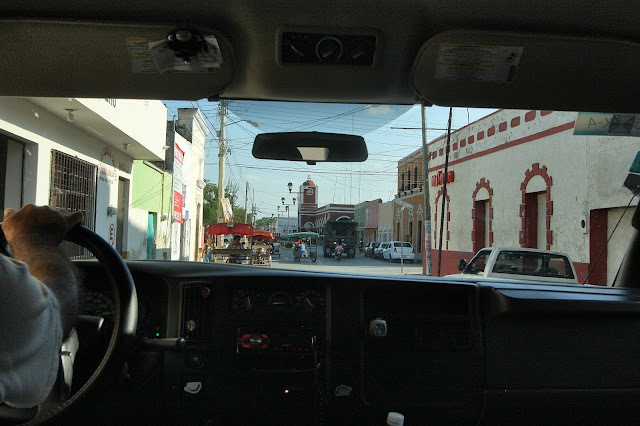 We began our journey on a four lane interstate highway that crosses the Yucatan. 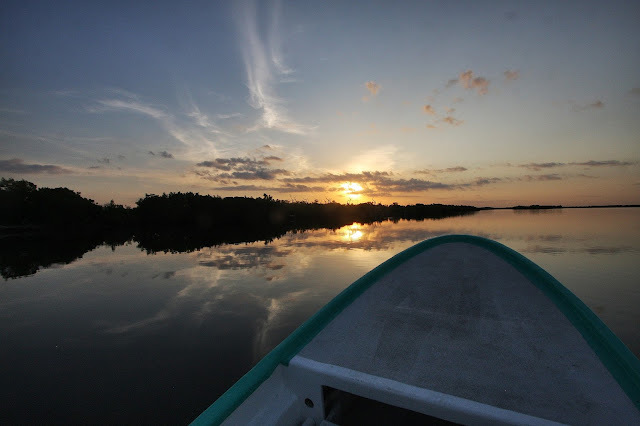 From the Mexican State of Quintana Roo, we soon crossed into the state of Yucatan then turned off the highway to head north. We were now on the narrow roads that made their way through the small villages and farmlands that now makeup the heart of Mayan Country. Three hours later we reached our hotel and got our first glimpse of the Gulf of Mexico. It was great to be back! Our charming friend and affable host Beto had a tray of tasty margaritas ready for us as we stepped off the van. After storing our gear, we eagerly rigged rods and soon sat down to enjoy a delicious dinner featuring many of the Mexican classics we had enjoyed so much last year. 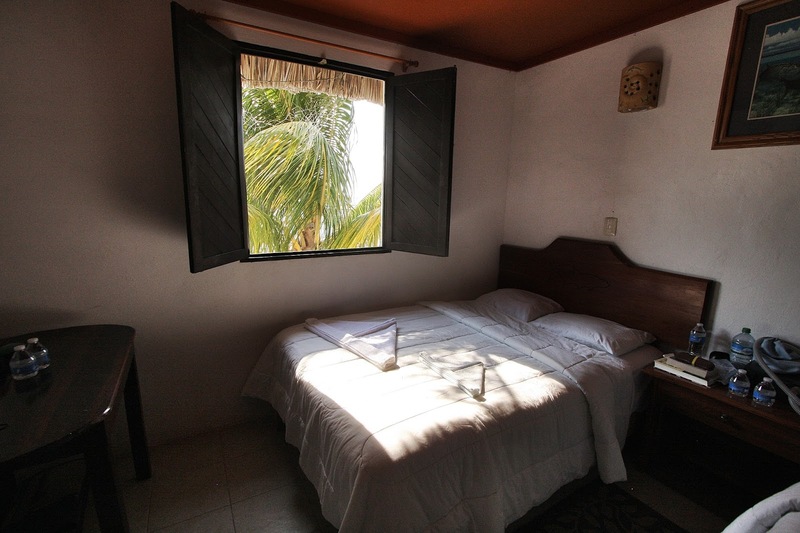 From our comfortable rooms on the second floor, we could see the coast that stretched beyond the harbor. 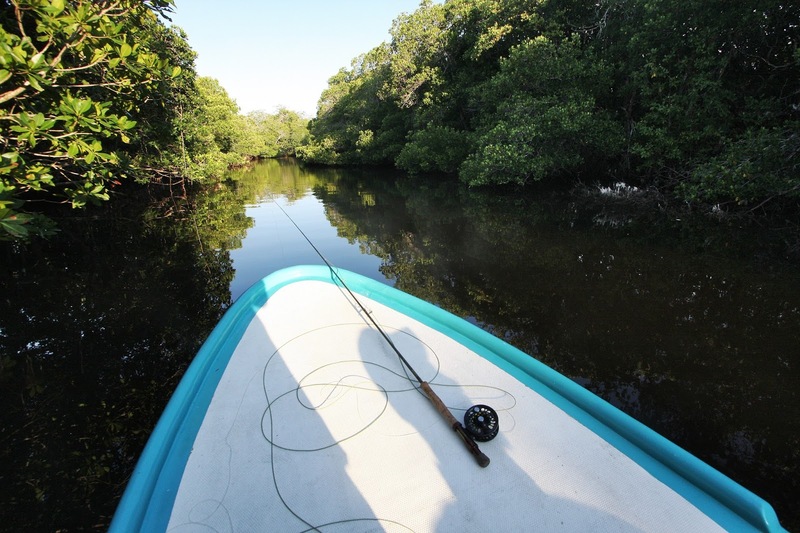 We knew this to be an area of massive turtlegrass flats and mangrove-lined backcountry rios, lagoons, creeks, and bays. 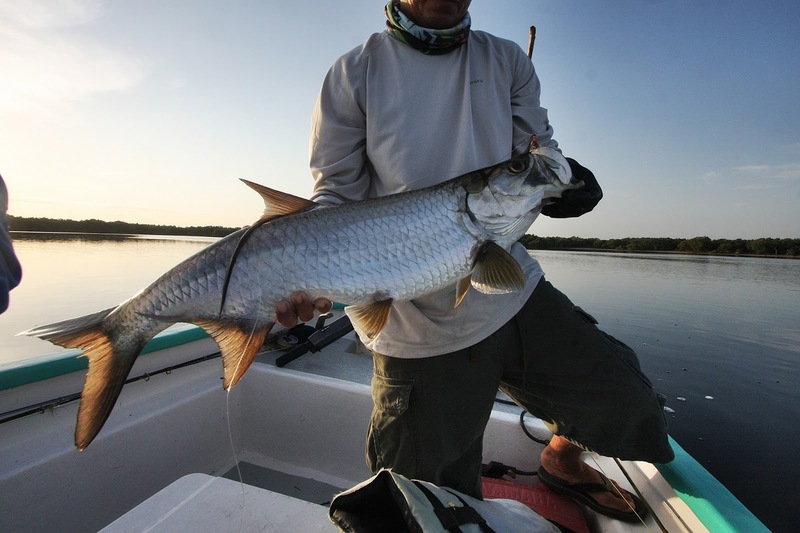 This is tarpon country. 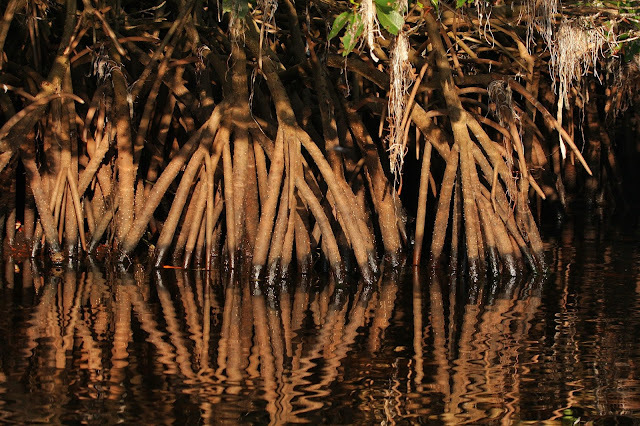 It's where the babies or "sabalitos" spend their formative years chasing sardinas and grazing on shrimp and crabs. 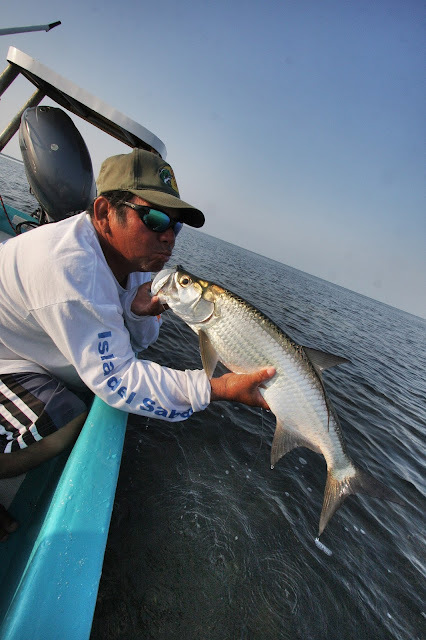 Juvenile tarpon prowl this coast all the way from Isla Holbox due north of Cancun to Campeche on the west coast and beyond. 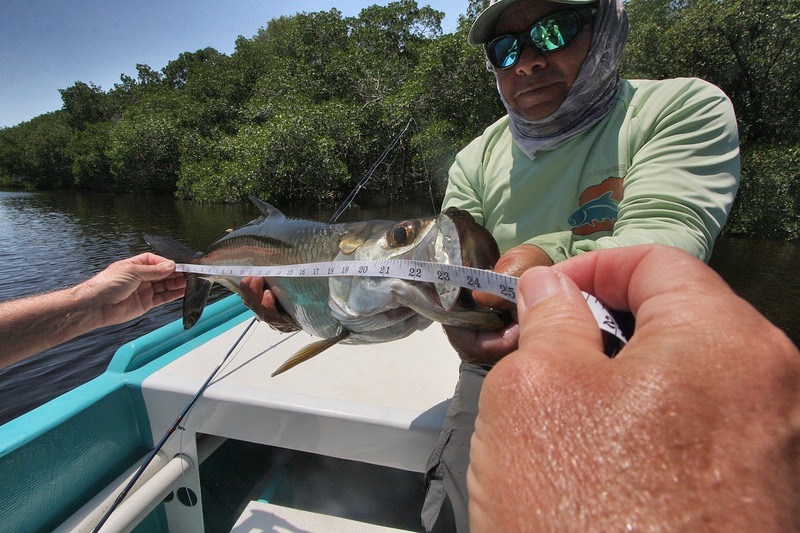 The numbers of tarpon found on this coast is staggering. 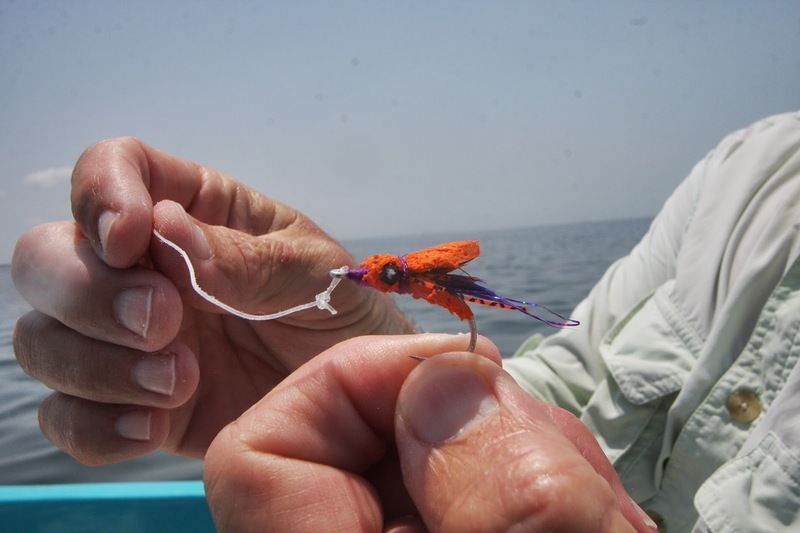 The vast majority are 5-25 lb. 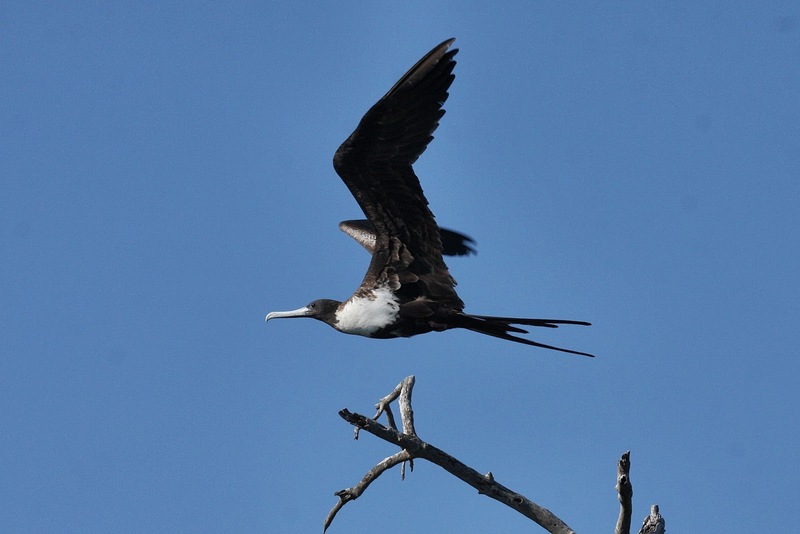 and they range in schools from just a few in the interior to well over a hundred on the outside flats. But what makes this area unique to the angler is that almost all of the fishing is done with floating lines to sabalitos in water that is rarely over waist deep. 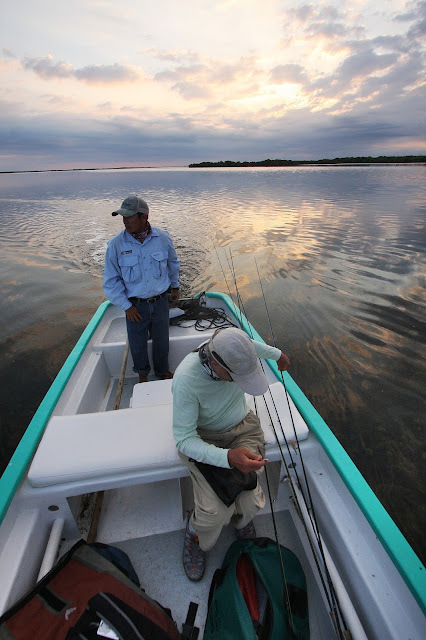 On this trip we hoped to explore some 70 miles of this "tarpon coast" spending three days here then motoring across the peninsula to fish another area that I had fished some seven or eight years ago. We knew the tarpon were here, we knew we would be comfortable at Tarpon Cay (and well fed), but we also knew we needed some good weather to find them! "Uno Mas" was our mantra. ONE MORE! 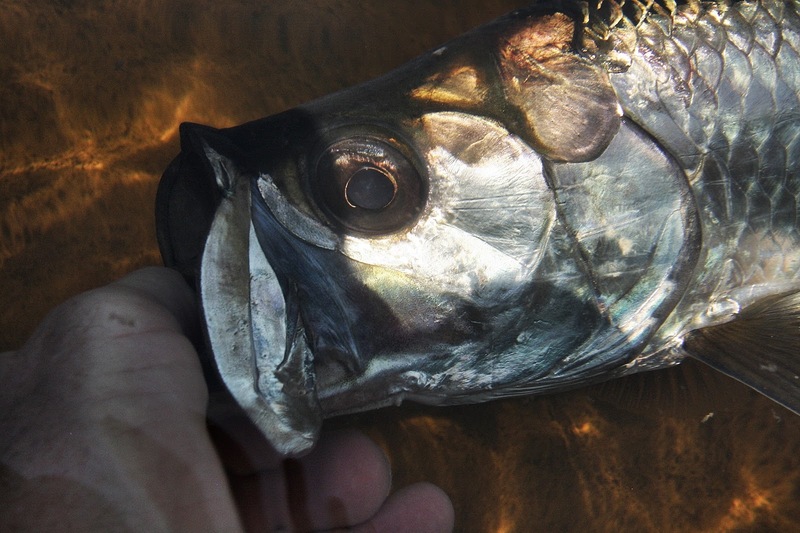 Tarpon are the M&M's of the ocean. 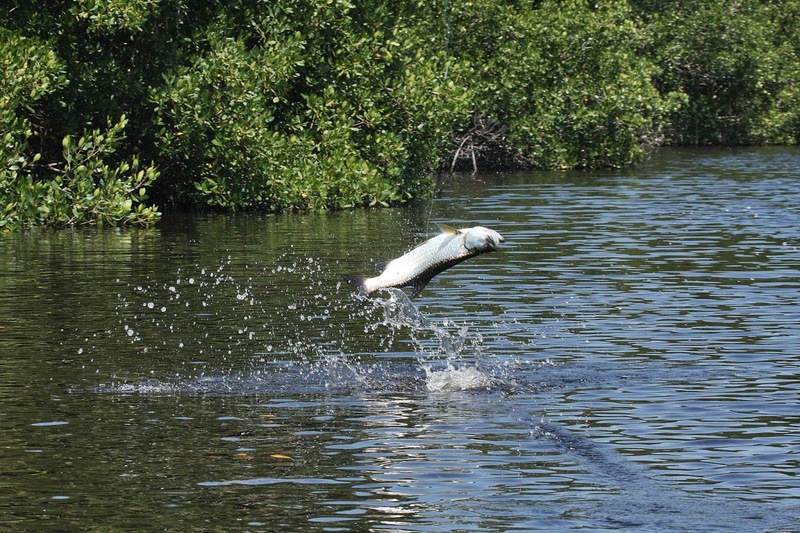 After a jumped fished or luckily boated, you always want to see one more fly engulfed and one more spectacular jump. 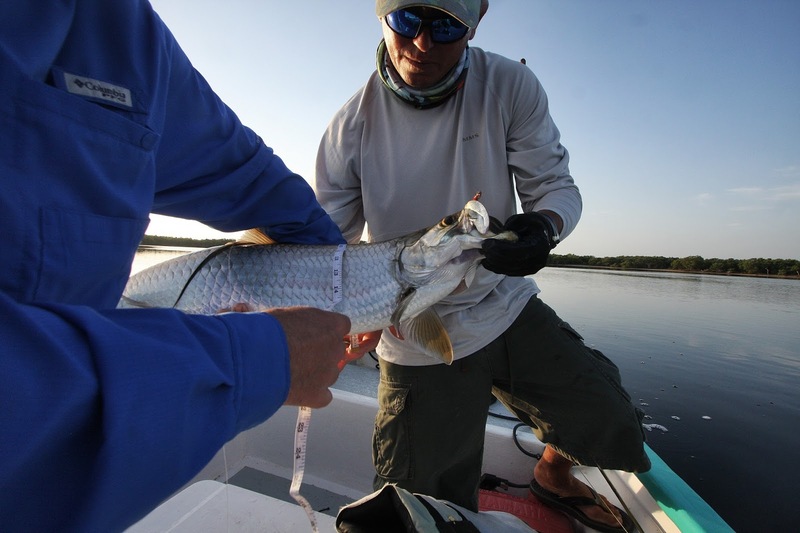 It is an addictive sport and tarpon are truly one of the world's top gamefish. If you choose to go tarpon fishing, you should be aware that tarpon are bitchy fish. Wind, cold fronts and who knows what can make tarpon hard to find and if found, sometimes hard to get to eat, and if they eat, hard to get a hook into and if hooked, hard to bring to the boat! But the effort is worth the reward as a good presentation followed by a proper strip strike often sends three to four feet of silver slicing six feet in the air. 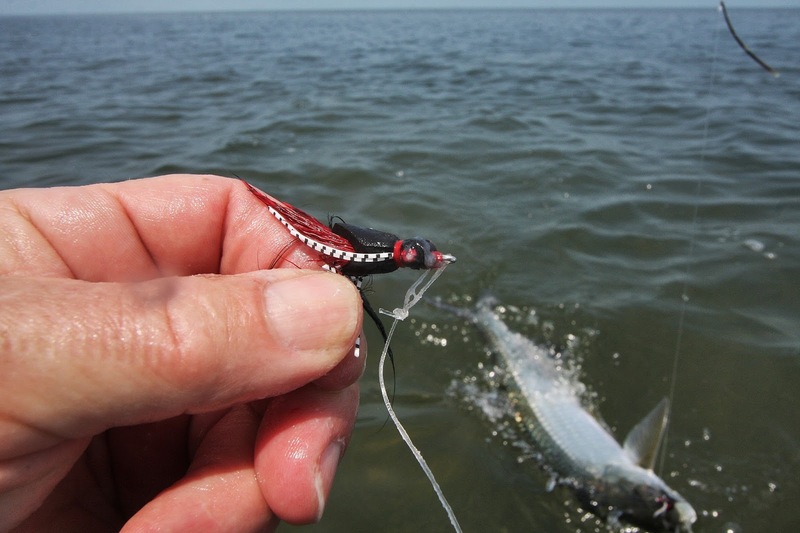 If you don't learn to "bow", that big-eyed bucket-o-fun evaporates as fast as you can say "S#@T, he threw the hook". 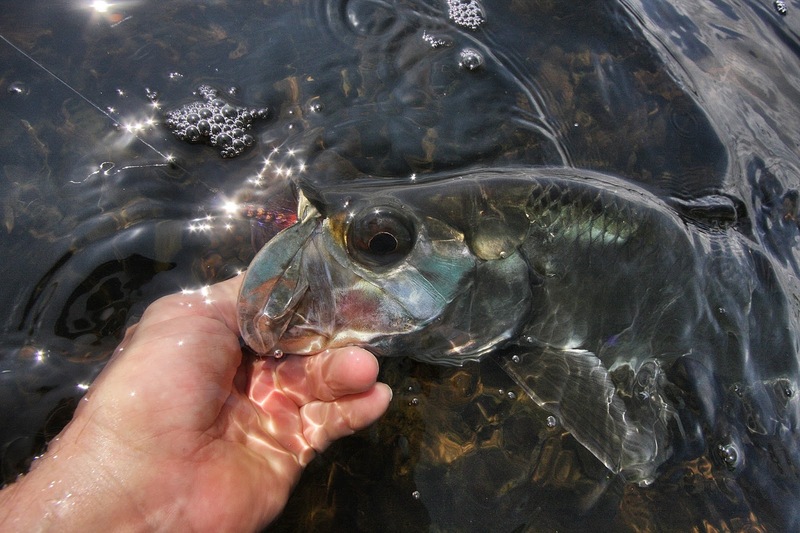 After a frustrating long line release, you talk to yourself, go through the proper sequence in your head then more often than not pull off a victory on your next fish. (For many more hints on fishing for baby tarpon, go here). 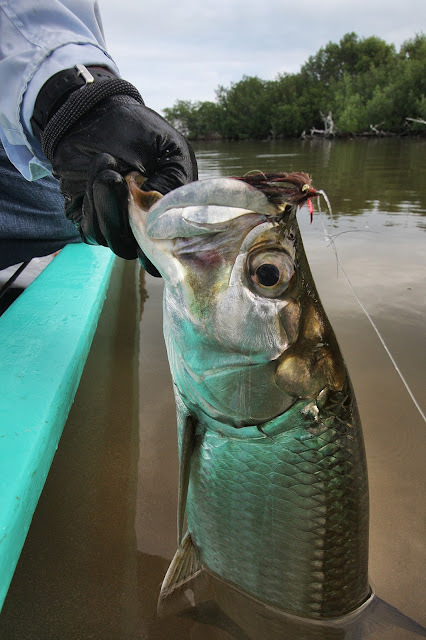 Is the Atlantic tarpon population made up of one large population or many smaller sub-populations? Are tarpon in Mexico the same tarpon that swim in Florida waters? 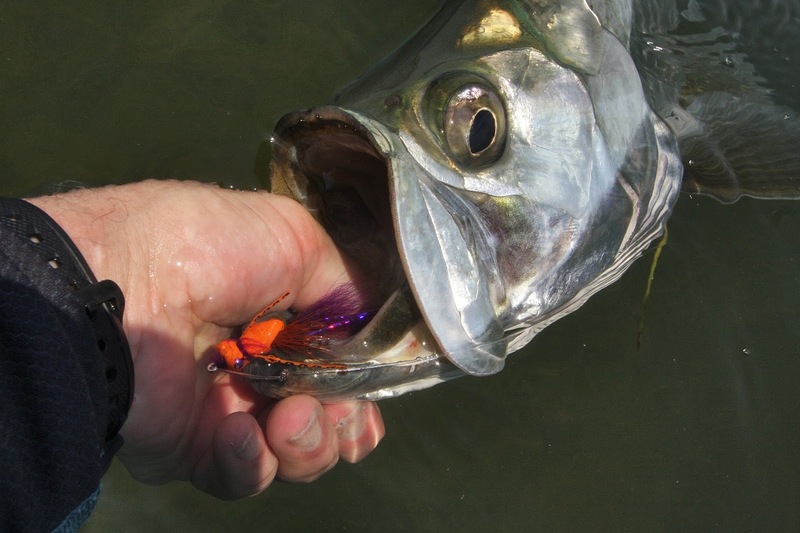 Do tarpon mix between the Caribbean and Gulf of Mexico? 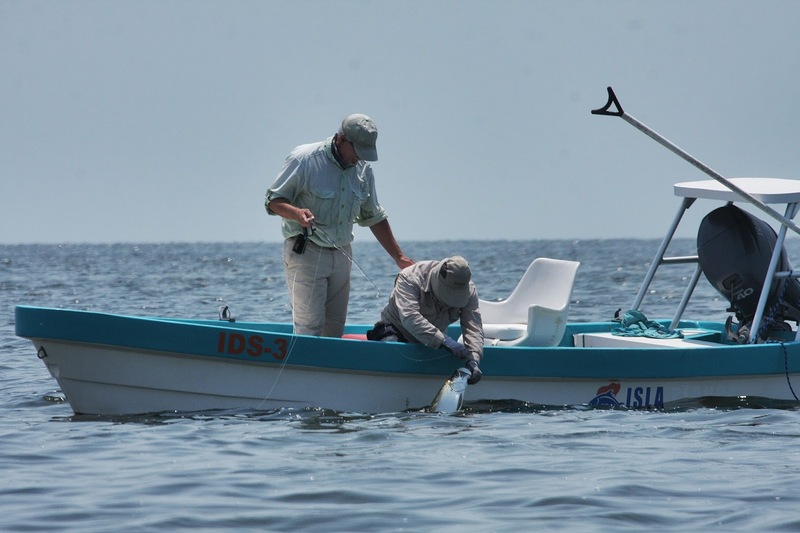 Where are juvenile tarpon spawned – do they come from local spawning locations or do they travel as larvae from far-away spawning sites? 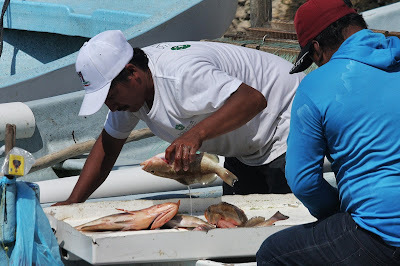 To what extent do fishing pressure and harvest in one location impact the fishery in other locations? 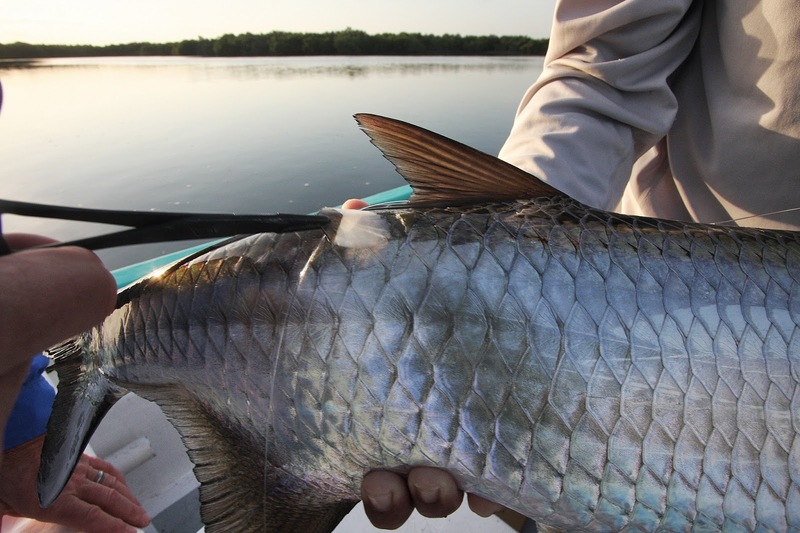 If you are interested in this program and want to help preserve a strong tarpon population for future generations, go here for more info. 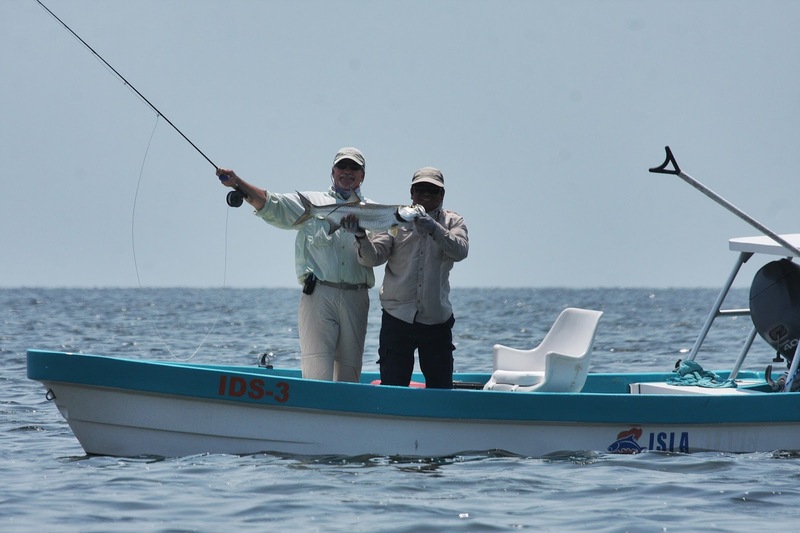 Participating in the program is easy, important and the only way to do it is to go fishing... talk about a win-win! Soon enough our time at Tarpon Cay was over and we were off to the next location. 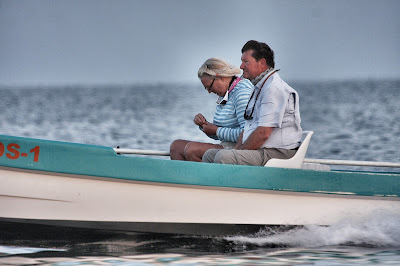 We took away some great fishing memories and very much appreciated our attentive staff, the great food and comfortable lodging all only a short walk from the boats and the fishing... how does it get better than this? 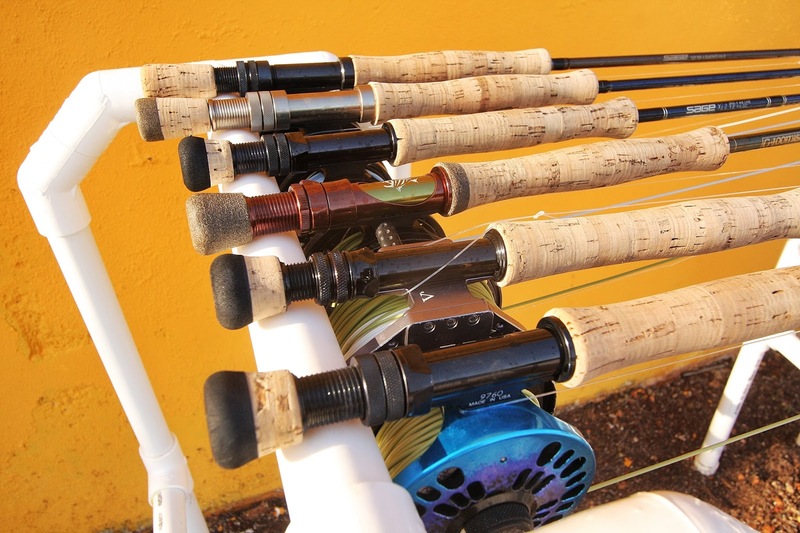 Baby Tarpon Fly Prototypes Finished!